At Christmastime in 2005, Maureen Gallagher’s ten-year-old daughter was diagnosed with leukemia. Five years later, the cancer resurfaced. Their lives would never be the same. 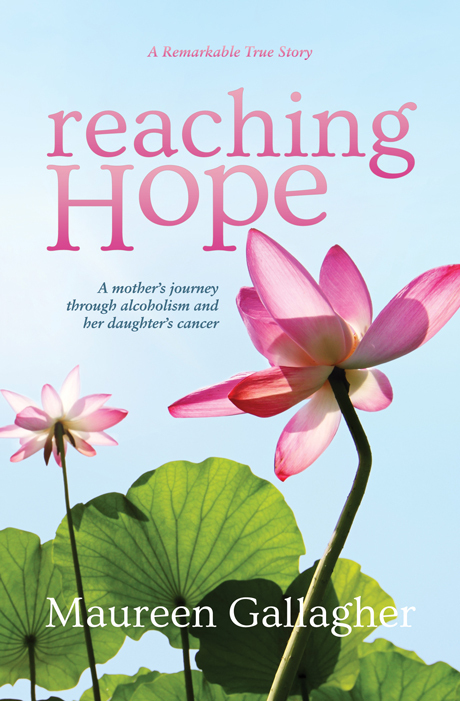 Reaching Hope is the amazing true story of a mother’s journey from the depths of alcoholism and her daughter’s recurrence of cancer. Through sheer determination and courage the family overcomes slim odds and reaches that beautiful light at the end of their long, dark journey. Maureen’s story will inspire you with the realization that, whatever challenges you must face, even in the darkest hours there is always hope. Maureen Gallagher is the mother of two teenagers. Born and raised in Reading, Pennsylvania, she has a B.A. in Economics and has worked for twenty years in the ­apparel industry, as well as in advertising and human resources. In her spare time she enjoys tackling do-it-yourself projects, watching horror movies, working outdoors, playing sports, and cooking.